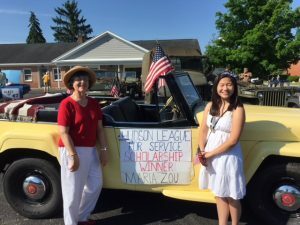 Scholarship and community grant applications are due March 1, 2019, and must be mailed to Hudson League for Service, P.O. Box 203, Hudson, OH 44236. Emailed applications will not be accepted. Any questions can be directed to Tina Schmutz at 616-520-1669 or VPHudsonLeagueforService@gmail.com. 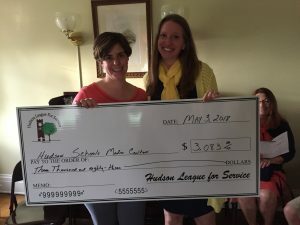 SCHOLARSHIPS: High school seniors who are Hudson residents are invited to apply for the Hudson League for Service annual scholarship. The $1,000 scholarship is based on the quality and impact of your volunteer activities. The recipient of the scholarship is listed on a plaque hung in the Hudson High School media center. For more information, contact your guidance counselor. Orga nizations and special interest groups can apply for grants to fund projects that will better the lives of those living in the Hudson community. Grants can range in various amounts, depending on the project needs.